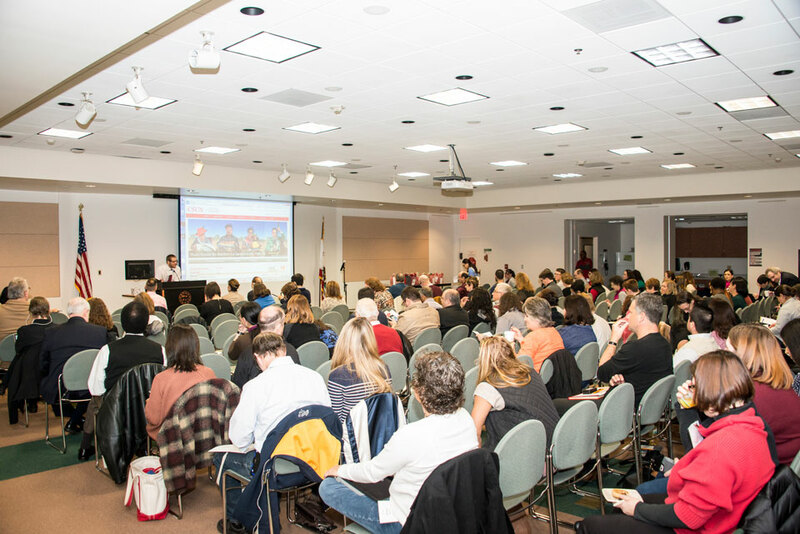 CSUN hosted the annual faculty retreat to discuss faculty and student success in the Oviatt Library on Jan. 18. Photo by David J. Hawkins. More than 160 faculty attended the annual faculty retreat on Jan. 18. and learned about the different contributors of faculty and student success. Photo by David J. Hawkins. Multiple presentations throughout the day encouraged faculty to learn about different views and approaches on faculty and student success. Photo by David J. Hawkins. CSUN Provost Yi Li speaks about the benefits of diversity and inclusivity at CSUN's annual faculty retreat at the Organge Grove Bistro Jan. 18. Photo by Luis Garcia. California State University, Northridge invited all faculty members to a faculty retreat Jan. 18, to explore the connection between faculty and student success. 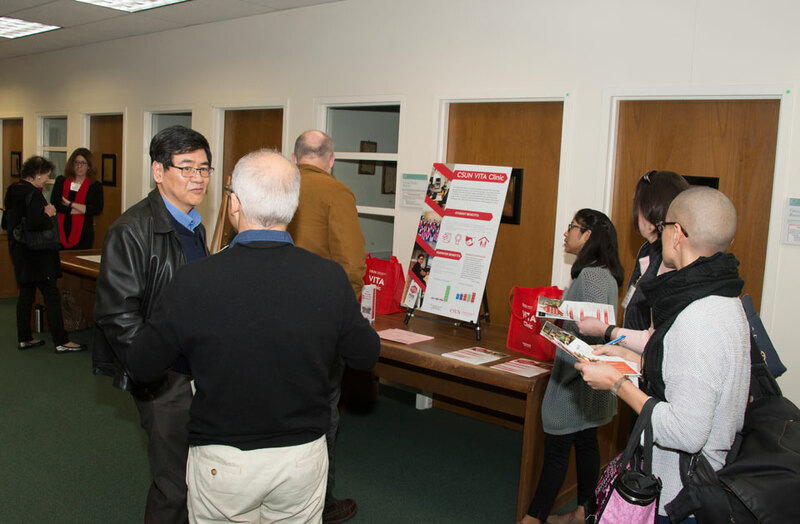 The Delmar T. Oviatt Library hosted the daylong event, featuring presentations from faculty and students about topics such as mentoring, scholarships, course content, collaboration and service learning. Steven Bint, distinguished professor of sociology and public policy at University of California, Riverside, opened the retreat with his keynote address, “Tips/Tools/Behaviors/Actions for Faculty to Help Improve Graduation Rates.” CSUN Provost and Vice President for Academic Affairs Yi Li closed the event with a speech on “Student Success and Inclusivity,” at the Orange Grove Bistro on campus. Li highlighted CSUN’s Educational Opportunities Program (EOP), which helps low-income, educationally disadvantaged or first-generation college students pursue higher education. He also discussed CSUN’s diverse student population, which includes students from a variety of ethnicities and socioeconomic backgrounds. The retreat’s focus aligned with the CSU systemwide 2025 Graduation Initiative, which aims to support higher graduation rates. Li said it will be a challenging task for faculty to accommodate the needs of a diverse student body. Yet, he said, the outcome will be rewarding. For students, CSUN’s diverse campus provides learning opportunities and personal development, said Li. 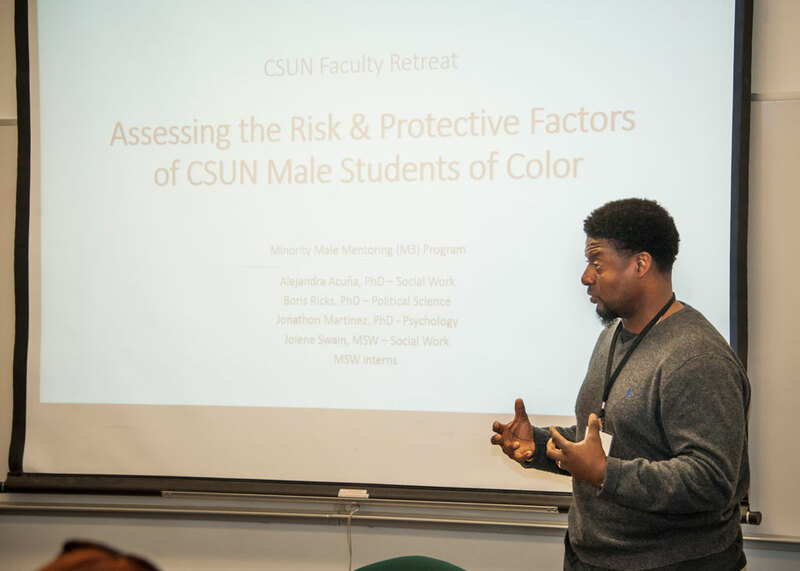 He referred to CSUN institutional research, NSSE 2013, and pointed out that CSUN students and alumni have indicated they feel more comfortable interacting with people from different ethnic, socioeconomic and religious backgrounds because of their experiences at CSUN. These traits are major strengths in today’s globalized workforce, Li said. 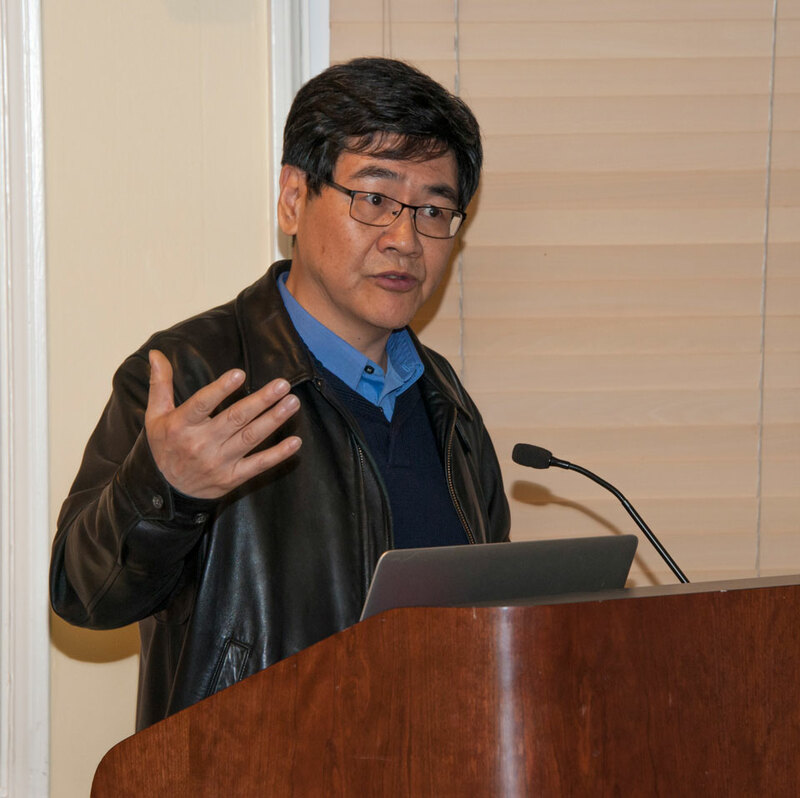 Despite his inclusion of several statistics on CSUN’s diversity and its benefits in his talk, Li encouraged faculty to also think individually.